Our brain is made up of countless neurons that control all our functions. From performance and concentration to memory and feeling happy in our daily life, it all comes down to brain function and how it helps us spend our day productively. Exercising the brain by challenging it with puzzles and other methods isn’t the only way to maintain brain health. What we eat has a big impact, too! It is essential that we look out for what we eat because numerous studies have linked foods with improved brain functions. In the past, we might be concerned if we had a family member with dementia or Alzheimers but now due to toxins in our environment we are all at risk. Researchers understand that what you eat NOW can directly affect your future brain health. Often, issues like dementia and Alzheimers are silently developing years before we show signs of it. Let’s look at some of the superfoods you can eat now to feed your brain. I’ve just included a few benefits of each food. There is a ton of information about brain health that you should explore. Nuts contain minerals and vitamins such as magnesium, potassium, vitamin E and complex vitamin Bs that help maintain cardiovascular health. It also means nuts are helping you maintain a good supply of blood and oxygen to your brain and organs. One research found that mice who suffered from Alzheimer’s were fed walnuts regularly and the result was improved memory, motor skill coordination, and learning. Sounds like it would be a good idea to grab a few nuts or carry some in your bag to munch on during the day. According to “Genius Food” by Max Lugavere avocados have the highest total fat-protecting capacity of any fruit or vegetable. Since your brain is the fattiest organ in your body that’s really good news! Avocados are rich in vitamin E and Omega 3 which have antioxidant properties that prevent aging and premature wearing down of the brain. Those green vegetables that your mom tried to get you to eat when you were a kid; well, it turns out it was all for good reason. Spinach, romaine lettuce, cabbage, kale, and bok choy are all rich in antioxidants that slow cognitive decline. These greens are full of folate which is essential for our body’s’ methylation cycle. This cycle helps our body detox and helps our genes do their job. Greens are also rich in magnesium and fiber. So if you’ve been skipping leafy green vegetables, it is time to add them back to your food list. Related: Is your nail polish toxic? Learn about my new favorite brand. Blueberries are a superfood that has been associated with brain health for a long time. They contain flavonoids which protect against free radicals and also play a significant part in improving cognitive skills and boosting memory. One study published in the Annals of Neurology found that consuming a diet richer in berries of any kind prevents early loss of memory and focus, contributing to better mental health. Chia seeds are rich in omega 3 and help neuron functioning as well as contributes to improved brain functioning. Omega 3’s also prevents the aging of tissue. I add chia seeds to my protein shake most days or sometimes I just mix some in water and drink them down. Tomatoes contain lycopene, a fighter of free radical damage to the brain cells which normally affect dementia. They can also reduce the risk of stroke and improve your mental acuity. 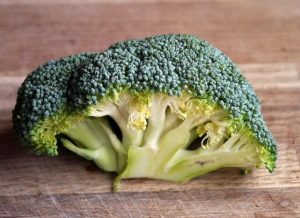 Broccoli is high in the nutrient, choline, which helps with the continued growth of brain cells and connecting neurotransmitters. Broccoli is also rich in Vitamin K which helps in brain functioning such as cognitive skills. Adding some turmeric to your diet can help to keep your brain active and strong and also help reduce the risk of Alzheimer’s disease. It contains curcumin which is anti-inflammatory, antiviral, antibacterial, antifungal, and anti-cancer so it can help your body in many ways. Sprinkle some turmeric over your food or add it to beverages. At first, it might seem crazy that drinking a lot of oil would be good for you, however, when we remember that our brain is made mostly of fat then it would make sense. The problem is we need to be consuming the correct oils. Skip the vegetable oils like canola oil and corn oil. They are terrible for your health. Instead, select organic extra virgin olive oil. Olive Oil is a significant source of vitamin E and K, two vitamins with proven brain benefits. Also, olive oil contains the plant compound oleocanthal which stimulates our bodies own repair mechanism when we consume it plus it helps the brain clear itself of plaque. Note: Good olive oil will taste peppery. If it doesn’t “bite” you, it may not be quality olive oil. 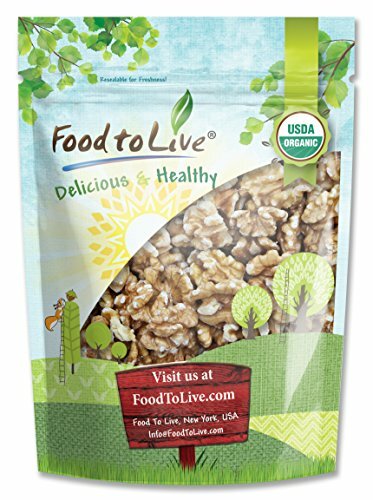 Try this brand I found on Amazon. Your entire body can benefit from the addition of dark chocolate to your diet plan. It’s especially good for the brain because of its powerful antioxidants and flavonoids that increase blood circulation, boosts your memory, and your mood. It helps alleviate depression and also acts as an anti-inflammatory, which means that it is good for your brain. How many of these superfoods do you eat regularly?